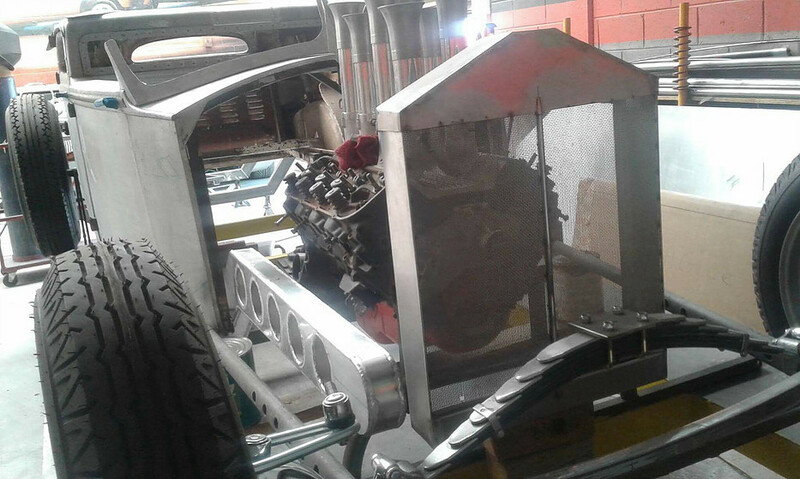 Three determined teams from three different countries are working around the clock to have their rat rods ready to survive the drive to SEMA, the world’s premier automotive specialty product trade event, located at the Las Vegas Convention Center from the 1st-4th of November, 2016. SEMA is not opened to the public, but never mind that: I am here to bring you the 2016 International Rat Rod build off competition’s inside scoop. Let’s start from the beginning. Jason Groulx, owner of Gasoline Alley Rat Rods, is the leader of this mischief and is in charge of organizing sponsorships, collecting parts, fabrication and design. 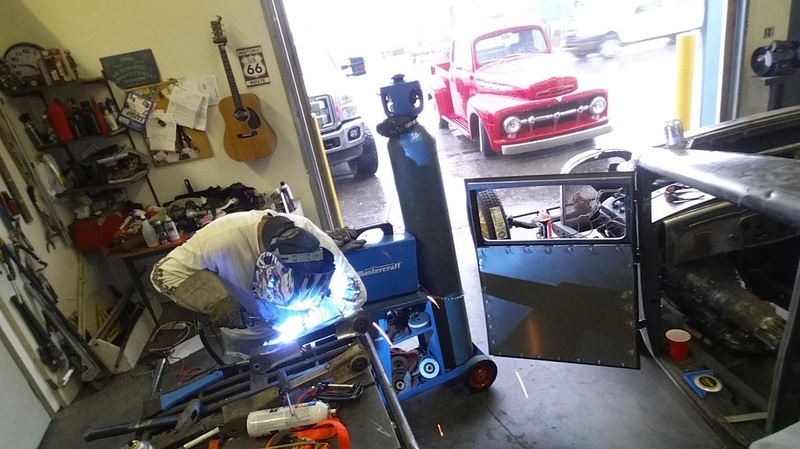 Other team talents include Jeff Sharp, with airbrushing talents that will bring the build to life; and Russ Mastrachuck, whose work ethic and “hang-on-for-the-ride” approach will make everything go smoothly. Car gal Stacie Bishop assists with any task she can, from grinding and cutting metal, to keeping the team’s followers (like myself) up-to-date on the latest happenings. Setting the bar high comes with its challenges. The amount of time fitting together every miss-matched part of the build while maintaining day jobs and family duties is stressful in itself, but then there’s the financial aspect: It is mostly funded out of their pockets. “Without our sponsors, this wouldn’t have been possible,” Stacie said. As part of the competition, the team must drive the car approximately 2,200 miles from their shop in Red Deer, Canada, to Las Vegas, Nevada. It will be displayed at the LizardSkin booth to show off the sponsor’s sound control insulation, installed on all three rat builds. 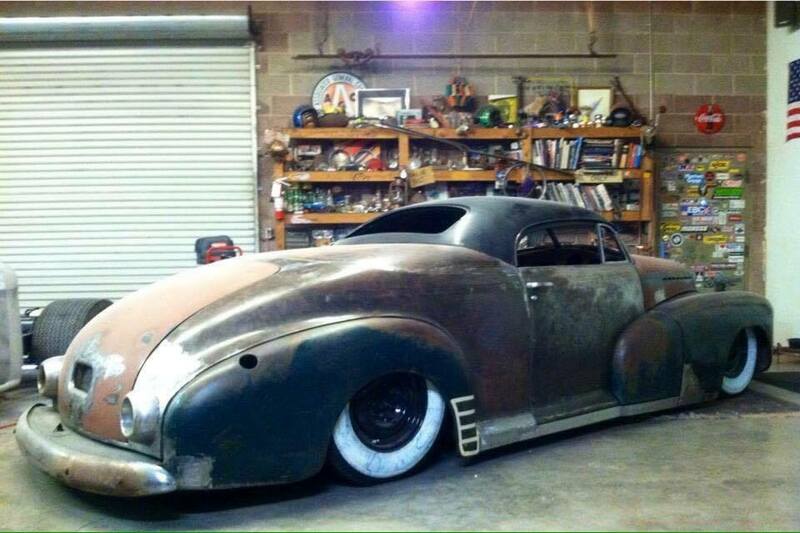 Kyle Lauman is a lover of big butts and ‘60s Kustoms (his words). 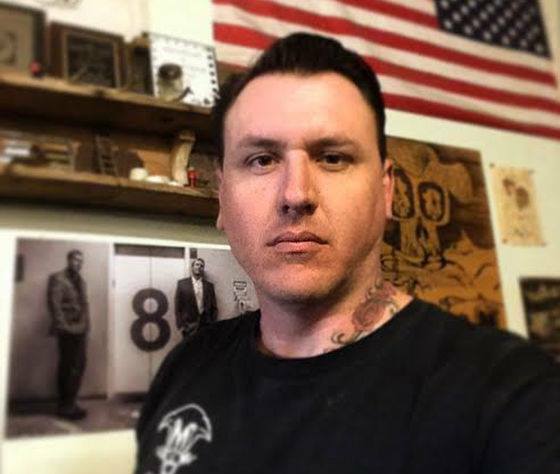 Perhaps you may have seen him on the Discovery Channel’s Vegas Rat Rods, but he is also a proud owner of Night Shift Customs. Kyle plans to do most of the build himself. His friend, Ruben, will be helping with upholstery and Marshall is doing the woodwork. The car began as a 1946 Chevrolet Coupe, but now it’s more like a low, sleek three-window roadster with a removable top. 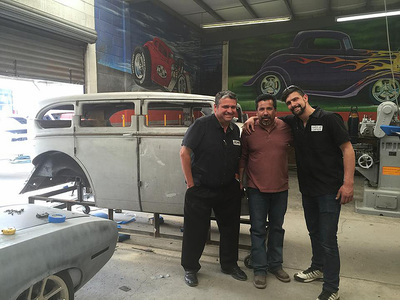 “It captures the essence of driving a custom car in that time period,” Kyle said. Before it went under the torch, the roof was messily chopped and crudely welded. The warping body was full of old disintegrating custom leadwork. 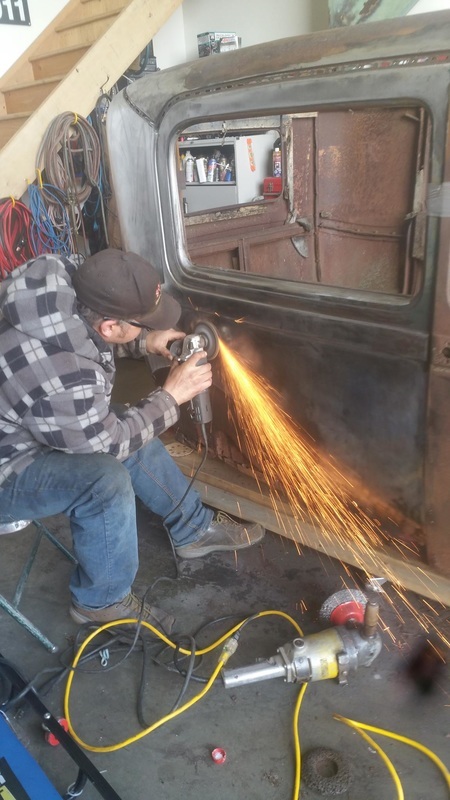 The cancer-like rust ate the rocker panels to extinction, but to Kyle, it was the perfect opportunity to get creative. He completed an extensive list of repairs and modifications. Hell, it took five grilles to fabricate the one seen on the car. And it has wood cabinets. (Yes, you read that right.) The heart of the beast is a Chevy 230-ci straight-six fed by a Kiser supercharger, and the body travels smooth and low on air ride suspension. Creating a rolling work of art in under a year from a pile of poorly welded, rotting metal with limited help seems unthinkable, but Kyle’s determination has everyone crossing their fingers for his success. If it weren’t for his sponsors, he and his wife would be living in a box. (It pays to have a lady who loves cars – just ask my husband.) But thanks to everyone’s support, the Lauman’s will be sleeping comfortably in their beds. Whereas Kyle may have more on his plate for the initial build, the 150-mile drive will hopefully give him some extra garage time. Team U.S.A. will reveal their build in E-Stopp’s booth, the makers of electric emergency brakes, installed in all three builds for optimum safety. Back in the day, Derek Hard, a dedicated Mopar fan, encouraged a 9-year-old Sam, now a grown mechanic who has swallowed enough old coolant and oil to kill an elephant, to follow his dream of racing classic Minis. 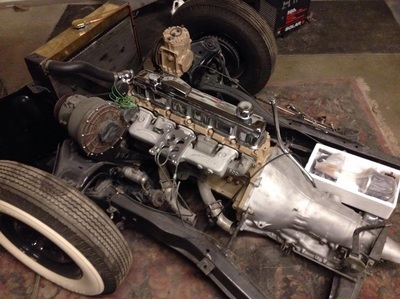 Now the brother’s have joined together with Michael Lightbourn, one of the most respected car finders in America and Mexico, to find their skeleton for the build: a 1936 Rolls Royce. 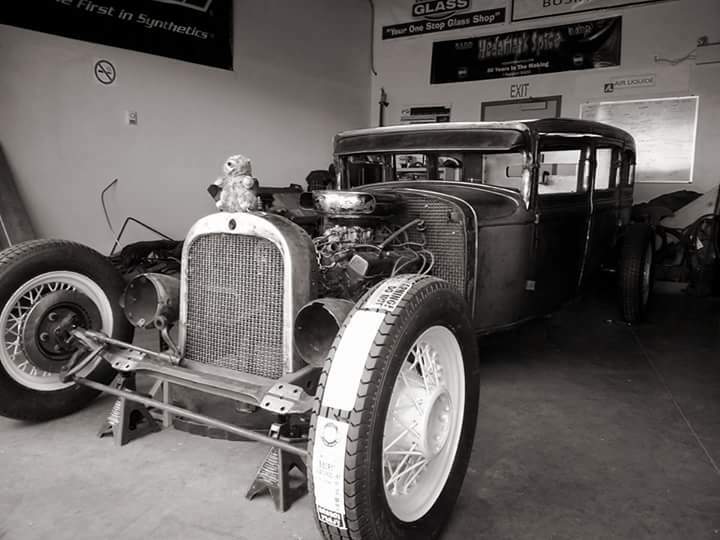 Because of the geographical distances and difficulty getting the vehicle overseas to SEMA, Sam Hard joined up with Mexico’s Street Toys Hot Rod and Customs. Sam frequently makes the journey from the UK to Mexico to provide input and get his hands dirty. The car will driven 750-miles to be displayed at the Arc Audio booth, the supplier of all three of the sound systems for each build. A big shout-out goes to SEMA for giving these teams the opportunity to showcase their work. ​For more information, including build progress, visit www.ratrodbuildoff.com.